Climate change and climate protection? At GEORG these are not just only buzz words but they form part of our daily work. So e.g. we permanently check where the emission of CO2 can be reduced. Of course this cannot be achieved everywhere but we verify our decision where our climate balance can be improved even more. For example we decided to source out our copy and printing jobs to KYOCERA Deutschland. Not only for economic reasons but also considering the fact that our CO2 traces resulting from generation of prime materials, production, packing, transportation and usage of toner will be neutralized by a certified climate protection project. KYOCERA cooperates with myclimate, an organization which has successfully established a project in Kenia. The project comprises the distribution of environment friendly cooking ovens in rural districts within the Siaya district in western Kenia. The new ovens consume 50% less of wood and minimize smoke emissions considerably. Each oven saves 1,4 tons of fire wood per year and thus protects the local forests. 44.000 ovens (produced locally) improve the living quality of 205.000 people in this area considerably. Our efforts for environment protection have recently been awarded by KYOCERA and our trade partner Hees Bürowelt. 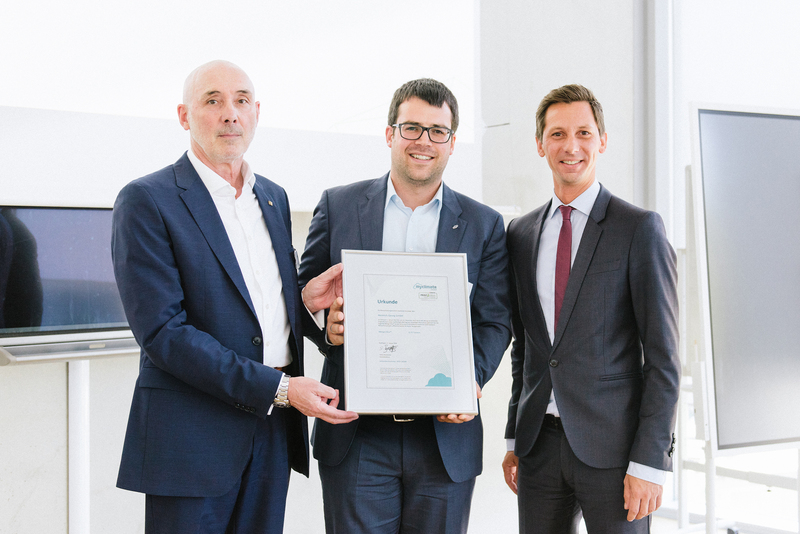 The chief administrative officer of Siegen-Wittgenstein, Mr. Andreas Müller, personally handed over an environment protection certificate during a ceremony to Thilo Keseberg, head of organization development at GEORG and responsible for the environment management system.